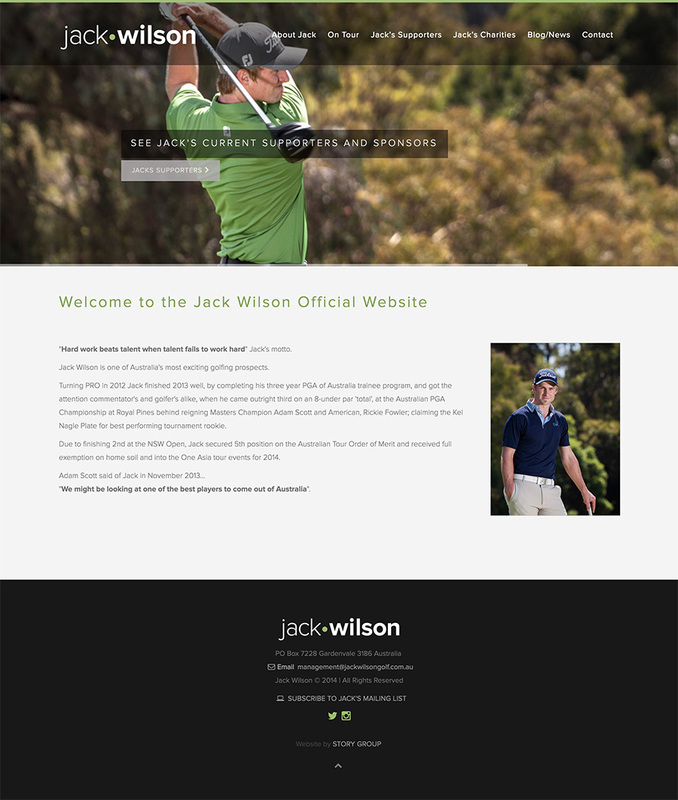 Turning PRO in 2012 Jack finished 2013 well, by completing his three year PGA of Australia trainee program, and got the attention commentator's and golfer's alike, when he came outright third on an 8-under par 'total', at the Australian PGA Championship at Royal Pines behind reigning Masters Champion Adam Scott and American, Rickie Fowler; claiming the Kel Nagle Plate for best performing tournament rookie. His website is a platform for all his activities and where her fans can comment and build a sense of community around him and his burgeoning career. The site backend is easy to use and can be updated on the go.